Home/Focus/Learning/World Class Talent Lexicon in AI -Yes in Alberta! When you mention North American AI Talent, many people assume Silicon Valley or Toronto or London as the place where it all started. 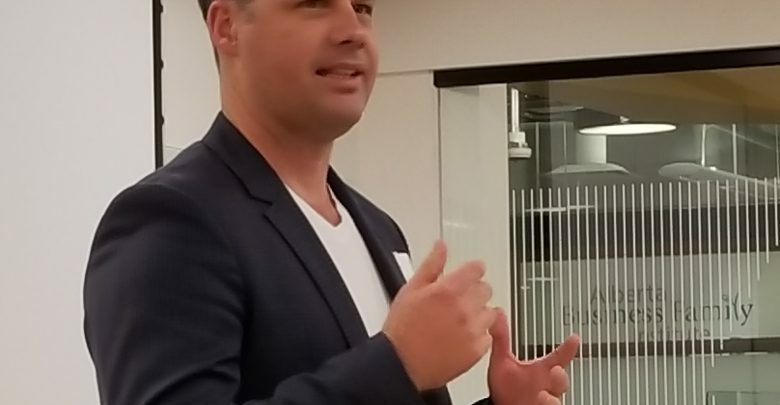 Cory Janssen, CEO of Alta ML shared insights as to how in early 2000, the University of Alberta started building a critical research base and how the Provincial Government invested in what was then understood as Reinforcement Learning, as a cornerstone of AI or Artificial Intelligence. Building a lexicon of human talent was critical to the success of this AI research centre. Dr. Richard Sutton the University of Massachusetts and AT&T joined the University of Alberta in 2003 as the iCore Chair to lead the Reinforcement Learning and Artificial Intelligence Labs. As Cory stated, “Bright Minds attract other Bright Minds”, and the centre continued to attract the best of the brightest academic minds to the University of Alberta. In June 2017, Dennis Hassabis Co-Founder of AI Lab Deep Mind announced that Dr. Sutton would co-lead the new Alberta office of DeepMind. Edmonton is now on the list along with London and Silicon Valley as a Human Talent lexicon in AI, and specifically Deep Learning and Machine Learning. Cory continues, “We have something so unique” that money cannot recreate this talent pool in the short run, and the “best and brightest from around the world continue to come to Edmonton”. “DeepMind has always been a unique hybrid of startup culture and academia, and we’ve been lucky to collaborate with many of the best researchers from around the world. Today we’re thrilled to announce our next phase: the opening of DeepMind’s first ever international AI research office in Edmonton, Canada, in close collaboration with the University of Alberta (UAlberta). It was a big decision for us to open our first non-UK research lab, and the fact we’re doing so in Edmonton is a sign of the deep admiration and respect we have for the Canadian research community. In fact, we’ve had particularly strong links with the UAlberta for many years: nearly a dozen of its outstanding graduates have joined us at DeepMind, and we’ve sponsored the machine learning lab to provide additional funding for PhDs over the past few years.